Ever since we got the Huawei P10 Plus for review, we've been itching to test how the camera compares to the regular Huawei P10. After all, besides the screen size, the wide camera aperture is the second major difference between the two phones. Huawei is using Leica lenses on both of its smartphones, but the one on the P10 Plus is a higher grade one - a Leica SUMMILUX as opposed to the regular Leica SUMMARIT. These names may not mean much to you, but Leica fans would know that the Leica SUMMILUX camera lenses are much more expensive than the SUMMARIT ones. We are yet to see whether that translates into tangible real world benefits when it comes to smartphones. So the higher grade lens has a larger F/1.8 aperture, but what else? Huawei also promises better corner sharpness and a more noticeable bokeh in macro shots. There might be some other hidden perks, but we'll have to find those on our own. We've shot more than a thousand comparative camera samples for this test (along with our P10 Plus review, which is still in the making). 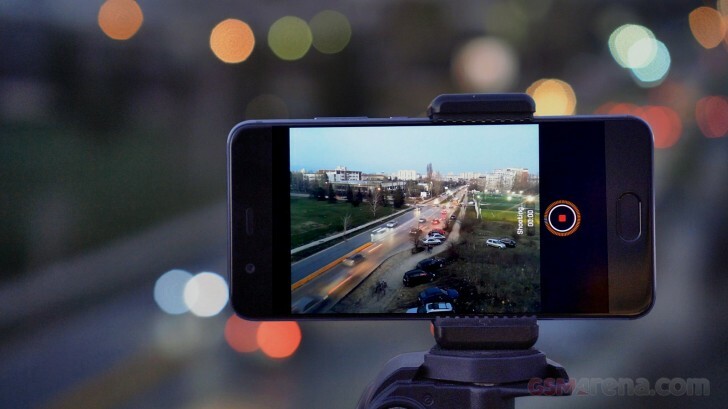 We decided to focus the comparison between the two P10 smartphones on low-light scenes, as our preliminary tests showed there is hardly a noticeable difference in image quality in daylight situations. 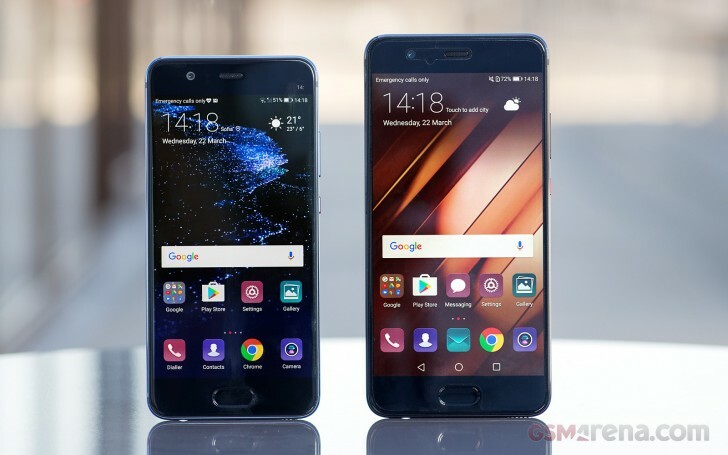 The Huawei P10's market launch was this week, and you may have already heard some of the key specs, but we might as well remind you those in case it has slipped under your radar. We also already have a detailed review of this phone so make sure you check that out too. The Plus model, however, is taking its time and we expect it to hit the market by the end of April. So consider this a glimpse of what's to come. As you can see, the differences between these two smartphones go deeper than their screen size alone. One thing is for sure - when it comes to taking pictures, both cameraphones performed admirably. The advantages of the P10 Plus camera-wise were not as readily apparent as we initially presumed. But as they say, the devil is in the details. So we've prepared a bunch of camera samples on the next page for your pixel-peeping enjoyment (ours too), and we'll also present our test findings alongside those. Enjoy! "The P10 plus captures more light than the P10 plus in low light," well.. uhm. that sir is confusing. I will have to disagree with gsmarenaon this. The P10 plus captures more light than the P10 plus in low light, so the P10 plus have more detail than the P10.